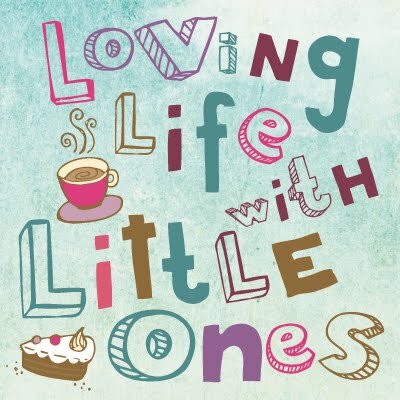 Loving Life with Little Ones: Our car seat dilemma - part 2- Can we fit 3 seats in our car? Our car seat dilemma - part 2- Can we fit 3 seats in our car? So I wrote earlier in the week about the car seats that we currently use and the fact that with baby number three on the way that we needed to figure out if we needed to get a bigger car or could we fit three car seats into our current car with a little planning- you can read that post here. As I said we have a Renault Megane Scenic which is quite a roomy 5 seater car with space in the back to comfortably fit the two child seats we currently have and an adult in the middle, we hoped as the back seat was so roomy we would be able to buy a slim fitting high backed booster seat for Little 1 to move into so that Little 2 could have her Britax Evolva car seat and Little 3 the Britax First Class Plus seat that she was in. I have said before that I will not compromise on car seat safety and took it upon myself to do a little (ok, a lot) of online research before we made any decisions or expensive new car purchases. I am of the opinion that simple booster seats are NOT all that safe for a 5 year old, Little 1 simply does not have the weight to hold the seat steady and there is no protection for her at all in the event of an accident, just watch the crash test clips online and you will see what I mean. I am not saying that I don't think they are suitable at all, for an older child who just needs a little boost they are probably just fine, I just think a high backed booster seat is much safer and is the only thing I will consider for Little 1 at the moment. I spent a week of evenings looking online at what was available to us to suit her height and weight, I read countless reviews and joined a well know ratings site to see what they had to say too. The width of the seat was very important to us as it had to be slim to fit in the back of the car with the other two seats (both being quite wide themselves) and I came up with a shortlist. Several of the seats I would have really liked like the new Britax Advansafix were out of our price range and others were just going to be too wide even though I really preferred them like the Britax Kidfix and the Donio Monterey so it would come down to trial and error and what would fit unfortunately. I was going to have to compromise on the safety of the seat to fit three in our car but there was no way I was going to just get a cheap booster seat or the cheapest high backed booster out there having read the poor safety reviews. Armed with my shortlist of narrower seats to try we headed over to a top mother and baby store and enquired about trying a few car seats in the back of our car. As soon as I mentioned fitting 3 seats in the back, the shop assistant said it couldn't be done safely, something about having to have 3 inches between the seats so they didn't touch each other in a crash and some alarming thing about the middle seat being forced up through the roof in a side on collision, whaaaat?!! I know several people who have had three in the back at the same time, surely they didn't all have huge cars! She wouldn't even come and look at our car and instead offered us the solution of seating Little 1 in the front seat and deactivating the airbag. I wasn't keen on this idea myself, deactivating the airbag for us was not a simple affair of a button on the dashboard or a little key thingy on the side as in some of the newer cars, it actually meant taking it to a dealer and paying to have it deactivated. I didn't like this idea for several reasons, firstly I didn't want any of my children in the front of the car really anyway (I feel the back is safer). Secondly, where did we then stand on the car insurance front and what about selling the car in a year or two, we'd have to pay to have it turned back on. And thirdly, the Little ones are only in the car on weekends/holidays as Daddy uses the car for work in the week, what about the protection of other people in the front of the car? Daddy takes my brother, Uncle M, to and from work every day so he is in the car 10 trips a week as well as the odd bloke Daddy gives a lift to from skittles each week, what if there was an accident? I began to research this online and didn't really like what I was reading about airbags and having a child in the front seat. We then happened to go to a big police open day thingy near us and I popped into the road safety team stand to have a chat with them about it. The first thing the man said was 'Don't ever do it', he told us that unless you physically remove the detonator from the airbag it can and often will still go off in the event of an accident, even if it is deactivated. He said that sometimes they can explode in an accident as they can't do what they are supposed too meaning the whole dashboard can explode, he said never to deactivate an airbag and told us to talk to the firemen. The echoed what he said and said they had seen some terrible things so that was it decision made, there was no way Little 1 was going in the front seat with or without the airbag. We started to think that we were going to have to get a new car sooner than we had liked and I began to look into 7 seaters. It wasn't really a financial option for us at the moment so we decided to pop into another well known store that sold a range of children's car seats and see what they had to say. They listened to what we said and allowed us to try several of their high backed booster seats in the middle of our car with the other two car seats set up as we would have them when Little 3 arrives (the Britax First Class rear facing on one side, and the Evolva on the other.) We knew that our rear seats can be removed from the car and run on runners so we slid the middle seat forwards 6 inches to give a bit more room for the wings of the seats. The first two seats were too wide and the side wings got in each others way but the third seat we tested fitted well and the wings didn't touch, we were also able to plug in the seat belt without losing the skin off our knuckles, although Little 1 won't be able to do it herself as it is a tight fit. This was the seat that we bought, it isn't fancy and is quite slim so I am not sure how long Little 1 will fit comfortably in it but it is a high backed booster with plenty of padding and not one of the ones with the naff safety ratings, so I am happy. We shall be changing our car in year or two anyway so we can get a better seat then if needs be. Little 1 loves the idea of being in the middle and able to look out of the front window and pass things to her siblings, so car seat dilemma sorted, three children safely secured in the rear of the car and we didn't spend loads of money, phew. Have you had any trouble fitting child seats in your car? could you fit 3? I have been thinking about 3rd child and car seats lately. Your experience and research is very helpful. Thank you. Nominated you for "A Lovely Blog Award" on blog today. We had three kids across the back seat for a few years. It was so nice to move into a minivan when we had baby #4! I'm glad you were able to work out a solution for your three! We have three kids in the back and it's a tight squeeze. Getting all the kids strapped in is one of my most hated things to do - it takes flipping ages! But like you I didn't want to use just a basic booster for my five year old. My three year old will soon be coming out of her ERF seat though, and I think that might make things a bit easier...I hope so anyway!